Goldman, W. (2003). 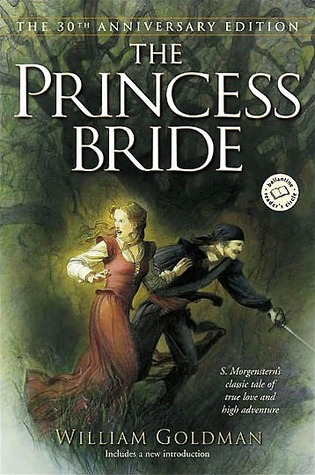 The princess bride: 30th anniversary edition. New York: Ballantine. Personal reaction to the book: The movie was better. First time I’ve written that. On the second complete read, one of the problems is the layers of prefaces and extra chapters, etc., accreted over the years. By the 30th anniversary edition, something like a quarter of the book is something besides the story proper. As a fan, I want to read those (although honestly I skipped Buttercup’s Baby this time around). But mostly it’s just tough to compete w/ the movie version. I would recommend it as a chapter book (echoing the novel itself) or for mid-teens and older as the volume of the metafiction might throw off some younger readers. Goldman discusses this indirectly in one of the prefaces, where he writes about his son being disappointed in Morgenstern’s “original” because there is too much background, obscuring the adventure. Author facts: Goldman won Academy Awards for screenplays for Butch Cassidy and the Sundance Kid and All the president’s men. He also adapted his own novels, Marathon man and The princess bride for the screen. He is a Chicago native and Oberlin graduate.